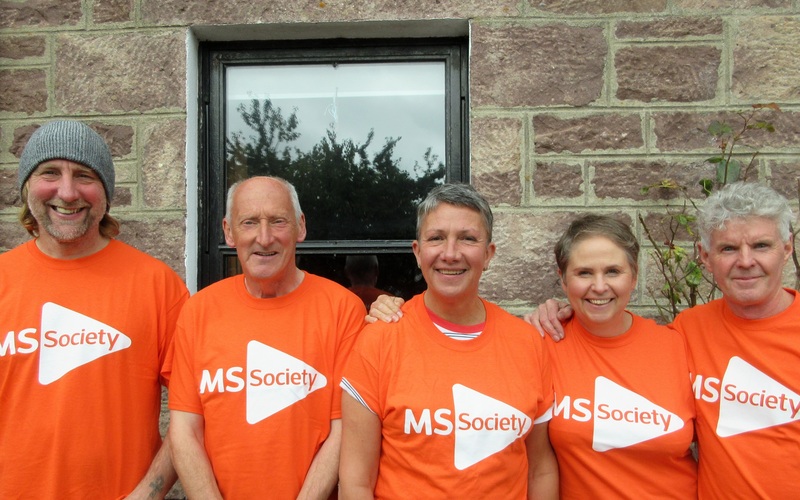 Gary Lewis, John Grant, Kathryn Bennett, Lorraine Thomson and Anthony O’Flaherty of the Ullapool Coastal Rowing Club will undertake the challenge of rowing across the Minch this August in aid of multiple sclerosis research. 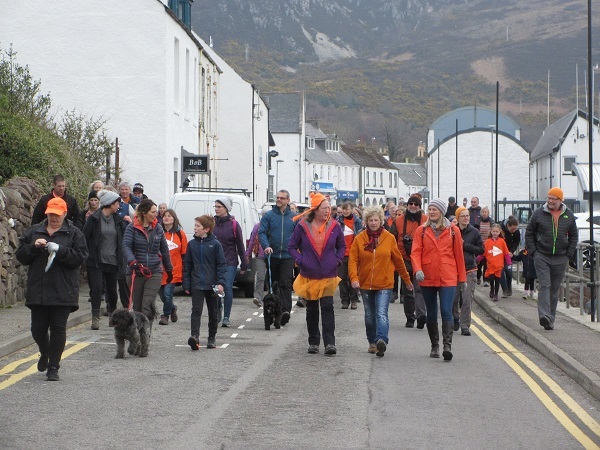 More than 170 people dressed in orange clothing and took to the centre of Ullapool for a 5k charity event last weekend as part of local initiative raising funds for multiple sclerosis research. From toddlers to teenagers, from parents to pets, a broad spectrum of people from the local community made their way by running, walking and wheelchair from the pier to the village hall on Saturday – raising more than £1,200 in the process for MS. The event formed part of the ‘Rowing the Minch For MS’ fundraising initiative which will culminate in five members of the Ullapool Coastal Rowing Club rowing 50 miles across the Minch from Stornoway harbour to Ullapool harbour this August. Last Saturday’s event attracted a broad spectrum of people from the local community. Lorraine Thomson (54), who is one of the crew taking on the challenge, told the Free Press: “Right from the start we wanted this to be a community thing – it will just be the five us out on the water – but we wanted other people involved in it because the whole community is affected by MS.
Fundraisers turned Ullapool orange for the MS fundraising initiative. Of the crew’s forthcoming endeavour in August, Lorraine said: “The five of us have all rowed together in various teams and won medals together, but I was looking for another challenge. In August the team will depart from Stornoway harbour and embark on the 50-mile journey to Ullapool harbour. Lorraine said the five-person crew would be self-sufficient with water, food and GPS tracking. So far, the crew has raised 18 per cent of its target of £22,683 – which roughly equates to £1 for each stroke of the oars the team will make during their journey. 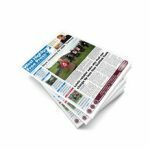 Lorraine described the support received from the local community as “absolutely excellent” and said the efforts of those in Stornoway had been just as good. 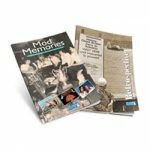 For more information, visit: Rowing the Minch for MS. Photos courtesy of Lorraine Thomson.